Bombay High Court said that if the police department does not straighten its act soon, it will not hesitate in initiating punitive action against it. 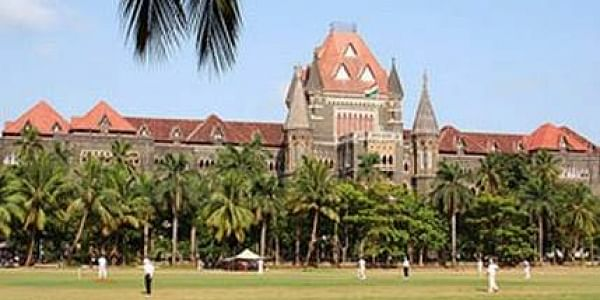 MUMBAI: Taking a strict note of the Mumbai Police's failure to find a minor girl who was reported missing from the city five years ago, the Bombay High Court said that if the police department does not straighten its act soon, it will not hesitate in initiating punitive action against it. A bench of justices S C Dharamadhikari and Bharati Dangre recently dismissed the police's submission that it made all possible efforts to trace the girl and finally concluded that it was "impossible" to find her. The bench questioned why the police failed to make inquiries at "construction sites, domestic help agencies, fishing trawlers, illegal distilleries, automobile garages, etc," for those were often the places where most children who are kidnapped or lost invariably end up at." "The police machinery folds its hands and says it is impossible to trace the child. They say we have done everything that is permissible and possible at our end. The report filed does not indicate that all out efforts are made," the bench observed. "No construction sites, illegal distilleries, garages have been raided. We as citizens find cars being washed, houses and utensils being cleaned, babies being looked after, all by children employed as helpers or domestic workers all around us. "We do not see how police machinery does not notice all this. Several of these children could be the subjects of the missing complaints lodged with the police," the bench said. The bench also dismissed the police's submission that its success rate of tracing missing children had improved from "66 percent to 89 percent since June this year," saying that as long as there existed cases like the present, any statistical achievement was of no use. The police filed a report in high court stating that the success rate in investigating cases of missing persons in the entire Konkan region has improved. The report stated that while until June, such rate was only 66 percent, between June and September this year, "positive progress was made in the probe of 115 of the 129 cases of missing persons." The court, however, said it wanted to know how many more such cases will it have to intervene in before the police take more earnest steps. While it granted the police time till November 30 as the last chance to trace the girl, it said it was "up to the police now to take the matter in the right earnest," else, the court will be constrained to pass strictures. "We will also not hesitate to direct the home ministry or the director general of police to transfer or remove such officials who are irresponsible, and whose inability in investigating such cases tarnishes the image of the entire police machinery. We will not hesitate to take action ourselves in such cases," the bench said. The court was hearing a plea filed by the mother of the missing girl. As per the plea, the girl was eight-year-old when she had gone missing in 2012. The police initially suspected that she was kidnapped by neighbours following a tiff, but it failed to make any progress in its probe since then.